To B.W. 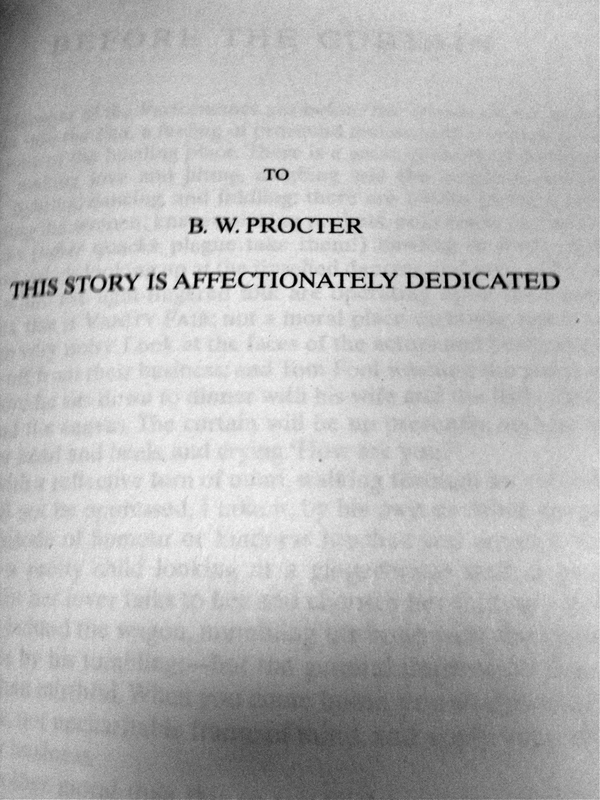 Procter this story is affectionately dedicated. English poet Barry Cornwall used the pseudonym B.W. Procter. He wrote memoirs for William Shakespeare and published numerous poems and songs.